With its share price at long term lows, Sims Metal Management is again active buying back its shares. The latest 50,000 shares were acquired at between $8.88 and $8.98 each. The company has now bought back 3.19 million shares for $39.9 million. Securities in takeover target Hastings Diversified Utilities Fund continue to trade around their four year high of $2.65, despite the Fund delivering a net loss for the half year to 30 June of $134.7 million compared to a net profit of $27.1 million for the previous corresponding half. The loss is based on non operating items, including refinancing expenses of $108.3 million for all debt held by Epic Energy, a $55.9 million expense for the performance fee earned by Hastings, a $5.6 million loss on warrants, and takeover response expenses. Securities in Transpacific SPS Trust spiked to a new four year high of $88 on 23 August before falling back to below $86. The Trust saw its interest revenue at $19.8 million and net profit at $19.5 million rise 7.7 per cent for 2011-12. In 2011-12 the Aspen Parks Property Fund had record investment inflows of $44.8 million, an increase of 82 per cent on the previous year. Net inflows after withdrawals were $34.8 million. This excellent result was supported by the continued strong operational performance of the Fund, said Aspen Group chairman Frank Zipfinger. The Funds annualized distribution rate increased to 10.9 cents per unit and the yield was 8.8 per cent based on a 1 July application price. The Aspen Parks Property Fund (APPF) remains Aspens flagship fund, contributing $7.7 million of income (FY11: $7.8 million) through Aspens equity investment and management fees for the financial year, he said. The management fee was $6 million, and Aspen Groups share of profit was $1.6 million based on its 10.3 per cent equity in the Fund. A lower interest rate environment, coupled with APPFs attractive yield provided the impetus for increased investor demand which has been reinforced by the Fund maintaining a Recommended rating with Zenith and a Highly Recommended rating with Lonsec. Operationally, APPF continues to perform well, with mining accommodation providing the strongest contribution to profitability. The tourism assets in the portfolio also performed in line with expectations. Gearing in the Fund was reduced to 31 per cent at June 2012 (44 per cent at June 2011). This positions the Fund for new acquisitions and/or investment into the existing portfolio. The Fund has current capacity of circa $50 million through a combination of debt and cash reserves, said Mr Zipfinger. However, the management company, the listed Aspen Group, recorded a loss for the year and has commenced a strategic review of its business. Mr Zipfinger said The strategic review aims to simplify the business by concentrating on activities in which Aspen has core strengths. A key focus will be to grow quality earning streams. While the strategic review is yet to be completed, it is likely to reflect a shift away from management fee and interest revenue generated from residential and development assets. Infigen Energy reduced its statutory loss for 2011-12 by $5.1 million to $55.9 million. Revenue was steady at $266.6 million, but earnings (EBITDA) fell 4 per cent to $140.5 million. This was primarily from a lower contribution from the US business due to below prior year wind conditions and higher operating costs as wind farms transition off warranty. This was partially offset by the contribution from the Australian business due to the completion of the Woodlawn Wind Farm, improved market prices and lower corporate costs, it said. Debt decreased by $185.6 million or 15 per cent to $1,078 million, and corporate costs fell by 39 per cent to $11.5 million. Net operating cash flow rose 25 per cent to $62.1 million. Subject to operating conditions, surplus cash flow from operations should allow it to amortize about another $55 million of debt under the Global Facility during 2012-13. Managing director, Miles George said We are pleased to be able to deliver strong net operating cash flow growth this year, and to achieve debt amortization guidance through our ongoing focus on cash management and conversion. This was achieved despite flat revenue as a result of below prior year wind conditions. During the year the company focused on containing post warranty wind farm costs and it commissioned its sixth Australian operational asset, the Woodlawn Wind Farm on time and on budget. In 2012-13, production in the US and Australia is expected to improve through a full year contribution from Woodlawn and better wind conditions. The Australian merchant assets will benefit from the introduction of a price on carbon. Hunter Hall Investment Management has further reduced its stake in CBD Energy, from 11.19 to 10.09 per cent. CBD said it intends to raise up to US$8 million through convertible notes, and is seeking shareholder approval for this. Based on a conversion price of 5.3 cents, CBD would issue 155,612,000 shares and 38,903,000 options. The options would have an exercise price of 5.3 cents and expire on 28 May 2017. CBD has also agreed to issue 20 million unlisted options as consideration to Washington H Soul Pattinson & Co Ltd for the extension of repayment terms of loans. The options are exercisable at 5.3 cents by 28 May 2017. This deal also needs shareholder approval. Meanwhile, CBD Energy and Westinghouse Solar, Inc. have announced a joint venture to design and build commercial solar projects in Italy. The agreement continues their collaboration as they move towards a merger. CBD has a $25 million credit facility to support up to 75 per cent of project costs in Italy. In June 2012, CBD completed the first of several planned 5 MW projects in Italy, and has negotiated its sale to a third party off taker for 12.5 million, with close subject to due diligence by the off taker. CBD expects to deliver five additional projects of 5 MW each starting in October. Westinghouse Solar would receive its share of earnings from the joint venture for the total 30 MW. This is estimated at $5 million based on a 50 per cent participation level. Earnings from project sales are expected to begin in the third quarter of 2012. Clean TeQ Holdings returned to profit in 2011-12 with a net result of $1,248,000 compared to a loss of $5,274,000 for 2010-11. Earnings per share were 1.018 cents and earnings from continuing operations were 0.816 cents. Revenue from continuing operations tripled to $12 million from $4 million. Revenue from the Air Division grew to $6.037 million with the increased performance expected to continue. Revenue from the Water Division was $7.503 million including the UV Guard business which was recently sold. The level of market activity in the Water Division is expected to increase as the commercial and technical strengths of the technologies are demonstrated, said chief executive officer, Peter Voigt. Mr Voigt said the Air Division, which provides air purification solutions including odour nuisance, greenhouse gas and toxic emissions abatement, won a large number of contracts using the companys OdorTeQ biotechnology based process. This controls odours and corrosive and toxic gas emissions from sewerage transportation and wastewater treatment plants. We are now clearly the leader in Australia in this technology segment and are continuing to improve the economics of the process to maintain this position, he said. The division also won sales for its regenerative thermal oxidation technology, Clean RTO, for treating greenhouse gas emissions. We will be looking to extend the market for this technology to evaluate the inclusion of heat to energy in the coming year. Waste heat is the largest untapped source of potential energy and offers an excellent market opportunity for the Air Division, said Mr Voigt. Clean TeQ sees a market opportunity for its Continuous Ionic Filtration (CIF) technology as a cost effective alternative for turning brackish surface and ground waters into agriculture grade water, with a primary target being produced waters from oil, gas and mining and groundwater remediation. It has announced it will further the development the CIF technology in collaboration with CSIRO. The program will focus on the desalination for produced waters from coal seam gas and on the production of valuable by products and the minimization of waste. The program will investigate the integration of CSIROs distillation technology and evaporation technologies from Clean TeQs other partners with the CIF technology. Clan TeQ has decided to limit its activities in its Resources Recovery Division to concentrate on its Air and Water Divisions. CO2 Group has announced international expansion projects valued at over $50 million. The company has signed a joint venture agreement with Singapore based carbon and renewable energy specialist Asia Energy Development Partners Pte Ltd (AEDP) to establish CO2 Asia Pte Ltd. The new company is 60 per cent owned by CO2 Group and 40 per cent by AEDP. It will specialize on the development and commercialization of projects under the Clean Development Mechanism (CDM) of the Kyoto Protocol. It has secured contracts that will generate about 15 million Certified Emission Reduction Units (CERs) over a 21 year period. These CERs are currently valued at more than $50 million. Shares in Environmental Group fell to an all time low of 2.6 cents on 29 August. Greencap increased revenue from continuing operations to $66.4 million in 2011-12, up from $58.9 million. Net profit after tax from continuing operations fell to $3.1 million from $3.8 million. The profit from all operations was $2.7 million, reversing a loss of $5.7 million. Earnings per share were 1.04 cents and the dividend was 0.25 cents. During the year the company sold non core assets and underwent a turnaround, and says that its financial position remains strong. Plastics recycler Novarise Renewable Resources International saw its sales revenue from continuing operations rise 4 per cent in Chinese RMB and 8 per cent in dollar terms to $36,315,590 for the June half year. The after tax profit rose 3 per cent in RMB and 7 per cent in dollars to $7,790,272. The net tangible asset value per share was 19 cents, up 2 cents. The company says production and utilization will be near full capacity for the remainder of calendar year 2012 and this trend is expected to continue for the first half of 2013. This will be driven by strong demand both in China for recycled polypropylene (PP) yarn and by the export market for finished products such as laptop bags and tents. The companys large new Nanan facility is expected to come into production in the second half of 2012. This has a world class production facility and will improve the quality and quantity of products. It is anticipated that completion of the Nanan project will require further funds of approximately $28 million (RMB 180 million) as well as additional funds to fund working capital as the plant comes on stream in the second half of the year 2012. As at 30 June 2012, the Group has current assets of $139,951,905 which includes $67,441,360 of loans receivable from third parties which are expected to be repaid by 31 December 2012. Despite the current level of short term borrowings, management is confident that the Group will have sufficient available funds to bring the Nanan plant into production. Management is also confident that they can renew all of these borrowings as required and generate positive cash flows from the Groups existing operations. Quantum Energy expects to return to profitability after making a net loss for the year to 30 June of $3.69 million. This was an improvement on the loss for 2010-11 of $9.8 million. The net loss from continuing operations was $1.95 million, down from a $5.22 million loss. Revenue from continuing activities was $41.6 million, down from $43.8 million. However, it said that Domestically a recent improvement in sales activity has been noted and the company expects this improvement to continue through financial year 2013 as the uncertainty subsides. The directors anticipate the Environmental Division will return to profitability based on a renewed focus on sales and distribution channels to support the business. Solco saw its 2011-12 result fall 278 per cent from a profit of $2.4 million to a loss of $4.3 million. Revenues were down 57 per cent from $53.7 million to $22.9 million. The company said its revenues and earnings were impacted by the restructuring in the solar energy industry during the year, but directors are of the view that the Group is a going concern. This is based on the Groups net working capital $6.2 million, and cash of $3.4 million with no long term debt. A significant part of the loss incurred was attributable to a drastic reduction in the prices of solar panels during the year. The market has subsequently stabilized and the Group believes that its revised inventory purchasing strategies will prevent significant further losses should prices continue to decline at rates experienced during 2011/2012, said the company. The board has implemented strategies it believes will return the Group to profit. These include revised inventory purchasing policies, amended inventory handling and holding strategies, a reduction in overheads and targeting a revised and expanded market. The Group also has an external financing facility it could use to access short term funding if the need arises, and is confident it could raise new equity if it needs to. The Australian Ethical International Equities Trust says the US shift in preference for gas at the expense of coal and renewables continues. For the first time since records are available, it was reported that the US produced as much electricity from gas as coal with each contributing about 32 per cent of total production. Ceramic Fuel Cells says it can continue as a going concern despite seeing its loss for 2011-12 rise 42 per cent to $30.2 million. While R&D costs fell $3.6 million, the costs of sales, service and warranty went from zero to $7.6 million, and general and administration costs rose $3 million. There was also a $2.5 million impairment charge. Revenue rose 82 per cent in 2011-12 to $6.7 million. But the company said that although it has begun to make sales, it has not yet achieved sales and production levels that allow the Group to generate positive operating cashflow or profits. These factors represent uncertainty about the ability of the Group to continue as a going concern. But it also said it has implemented strategies that make it appropriate to prepare the financial statements on a going concern basis. Among these, the company continues to increase sales orders, and is increasing production capacity. It is also reducing the cost per unit by outsourcing the production of fuel cells from its pilot plant in Melbourne to an industrial scale ceramics manufacturer and placing higher volume orders. Revenue has increased each year over the last four years, said directors. And steps such as more aggressive marketing and pricing strategies are being taken to increase sales more quickly, particularly in Germany. The company is undertaking a rights issue to raise up to $16.7 million, and in parallel is pursuing other funding options. Aeris Environmental saw its 2011-12 revenue fall by 16 per cent to $983,000. Its net loss was down 39 per cent to $1.3 million. The company has net cash of $414,000 plus payments to be received from the recent Mycologia Pty Ltd transaction. Biodiesel maker Australian Renewable Fuels saw its 2011-12 revenue from continuing operations rise a massive 496 per cent to $38.3 million, while its net loss fell 11 per cent to $7.1 million. The revenue increase was largely due to the acquisition of Biodiesel Producers Ltd, which contributed revenue of $28 million as well as enhanced the companys production capabilities. ARFuels said Whilst the net loss after tax for the full financial year is disappointing it must be noted the net loss after tax for the second half of the financial year was reduced to $2,481,578. Management is working hard to continue the improved trading results and thereby eliminate trading losses. Cost control remains a focus for management, along with sales. Carbon Conscious recorded a 390 per cent increase in net profit for 2011-12 from $0.85 million to $4.2 million. Earnings per share rose from 1.62 cents to 5.64 cents, and net assets of $14.9 million equal 20 cents per share. Executive chairman Steve Lowe said Peter was instrumental in the establishment of the Carbon Conscious business and the various successes we have enjoyed since 2008. Peter oversaw a number of significant achievements in what has been a pioneering phase of the carbon markets in Australia. The board thanked him and wished him well with his future endeavours. Carbon Conscious revenue for 2011-12 more than doubled from $7 million to 16.6 million. However, Carbon Conscious largest client, Origin Energy, will not exercise its planting contract options for 2013, so it remains to be seen how big an impact this has on future revenue. Mr Lowe said Carbon Conscious said is in various stages of discussions with a number of the 300 companies liable to pay the carbon price. Meanwhile, the company has contracted revenue from counterparties in Australia and New Zealand that will deliver over $45 million in revenue over the next 15 years. Carbon Conscious said the Australian Government plan to link the Australia carbon market to the European emissions trading scheme (ETS) by 2015 is positive for its business and provides greater certainty to liable emitters who have been waiting for confirmation as to how the proposed floor price would operate in 2015, or if it would be in operation at all. A key aspect to the link with the European ETS is that there will be a major reduction on the allowable use of low priced imported CER offsets in Australia from the previous 50 per cent limit down to 12.5 per cent, said Mr Lowe. The impact of this change is that Australian liable emitters will need to secure more carbon credits from the higher priced European scheme or from Australian sources such as carbon forestry. A link to the European scheme will provide Australian liable emitters with access to a much larger and liquid market in order to manage their carbon price exposure. Whilst the European forward price for 2015 is approximately A$12 at this time, a number of initiatives are expected to be enacted by the European market regulators over the coming months which are expected to have a positive impact for the forward carbon price. Tyre recycler Carbon Polymers increased its revenue in 2011-12 by $1.1 million to $1.3 million, but its loss also increased from $86,020 to $3.9 million. The biggest expense was depreciation and amortization at $2.7 million. Biodegradeable plastics maker Cardia Bioplastics saw its 2011-12 revenue rise by 152 per cent to $4.7 million, but its loss also rose, by 39 per cent, to $4.6 million. The revenue rise was mostly from sales, which were up 160 per cent. The bioplastics business made a loss of $3.9 million, with the balance due to an impairment in its investment in Bioglobal Ltd. This has been written down in value from $2.8 million to $244,140. The loss of $2.5 million has been recognized in the Consolidated Statement of Changes in Equity of $1.9 million and $672,007 as an impairment charge. There was also an impairment loss of $83,247 on the investment in P Fuel Ltd.
Metals recoverer Electrometals Technologies increased its half year revenue to 30 June by 127 per cent $1.09 million. Its net loss was down 45 per cent to $864,000. The company said although there were no significant orders during the period it expects further improvements in the next few months. Green plumber Green Invest saw its 2011-12 revenue rise slightly by $256,962 to $1.5 million, while its loss rose by $855,631 to $1.6 million. A large fall in revenue from $8 million to $2.7 million saw Intec record a loss of $3 million for 2011-12, reversing a profit of $1.5 million in 2010-11. Utilities service provider, Intermoco has implemented its embedded networks at six new sites, taking its income generating sites to 17. It had seven a year ago. When all have reached their targeted take up rates, the annual annuity revenue should be over $3 million. Nanosonics reported a revenue increase of 295 per cent to $13 million for 2011-12 as sales of its Trophon EPR infection control products gained momentum. Its net loss fell from $11.2 million to $4.7 million. The company said the financial performance came as it increased market penetration, and sales throughout the year continued to grow in Australia and New Zealand, where there are now over 600 Trophon EPR units installed. Chief executive, Dr Ron Weinberger, said This is an excellent result which demonstrates the potential of Trophon EPR. We now have commercial sales in the US and Canada and are well positioned for growth through our distribution agreement with GE Healthcare, a leading supplier of ultrasound equipment globally. Orbital Corporation made a net loss of $3.05 million for 2011-12 compared to a profit of $1.76 million in 2010-11. This was despite a 35 per cent increase in revenue to $22.1 million. Recently acquired Sprint Gas Australia contributed $5.8 million to revenue and positive earnings (EBITDA). Pacific Environment increased its 2011-12 revenue by 12 per cent to $10.5 million, but also reported a net loss of $1.2 million, which reversed a 2010-11 profit of $1.6 million. The company said growing revenue incurred additional expenses, and there was an impairment of the goodwill to the Toxikos business of $0.3 million. The operating loss was $0.6 million which compares to a loss of $0.2 million the previous year. The investment in additional resources and new offices that have increased costs in the current year is expected to facilitate additional revenue and lead to profits in future years, it said. (ASX: PEH). Phoslock Water Solutions saw its 2011-12 slide 29 per cent to $1.5 million but its net loss after tax improved by 55 per cent to $1.7 million. Sales from Phoslock were $1.05 million, significantly less than the forecast of between $3 5 million. The company said its net loss from operations was $1.8 million, an improvement on the $1.9 million the previous year. The second half performance was lower than the first half due to a number of near term orders being delayed from the February June 2012 period into the August November 2012 period, it said. The company said despite the loss the outlook for the business remains very positive. 30 commercial applications were completed compared to 28 in 2010-11, but the average value of the projects was lower. One third of the projects were for repeat customers. 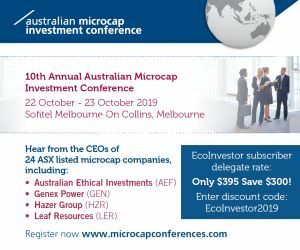 The Company may undertake an equity raising during 2013 however no decision has been made regarding the amount, the timing, structure of any offering or whether it would be targeted towards existing equity holders or new equity holders (Australian or international), including strategic partners. Po Valley Energys shares have climbed from 11 to 18 cents over the past six weeks and are at a six month high. RedFlow saw its 2011-12 revenue rise 42 per cent $3.2 million but its net loss doubled to $21.7 million. There was an impairment charge of $8.54 million on the capitalized research and development asset but this had no impact on cashflow or tax. Net equity has fallen to $6.7 million. Refresh Group saw a huge fall in its net loss from $3.6 million to only $75,286 for 2011-12. Revenue was down only 3 per cent to $6 million. For the first time, all four operating divisions of the Company are profitable. This is a drastic improvement from previous years, it said. The demerger of Aridtec Pte Ltd has also enabled the company to more accurately reflect the true performance of its business. The restructuring had yield positive results. Results from Operating Activities turned positive compared to last year and net cash flow improved from ($1,494,900) to $133,355. This shows the strength of its underlying core business. The net loss of ($75k) this year is because of interest expense of $92k relating to the borrowings for working capital of the Company. Electric scooter maker Vmoto increased revenue 16 per cent to $8.2 million in 2011-12. Its net loss was $7.1 million compared to $4.4 million previously. Impairment of goodwill accounted for $4.6 million of the loss. Vmoto said 2012 was a turnaround year following the turbulence of 2011, and it achieved positive operating cash flows for the December 2011, March 2012 and June 2012 quarters. The Company has now built up one of the widest global distribution networks of any electric scooter manufacturer in the world, being represented by more than 26 distributors in 26 countries in the geographic regions of Australia and New Zealand, Asia, Europe, South America, South Africa and the USA. This is a significant achievement in only 3 years, it said. Orders for electric scooters including trial scooters were 4,500, up 86 per cent on 2011 sales. It produced 4,300 scooters. Importantly, despite what would appear to be small sales at this time, Vmoto E Max is now the number 1 selling brand in Europe and well positioned to increase this foothold as the market grows. Given the Company only needs to produce 8,200 units per annum to breakeven, we believe we are on track to profitability in the near future, said managing director, Charles Chen. Vmoto has received the parts to produce the first 200 electric scooters for Shanghai PowerEagle International Co Ltd under their Strategic Cooperation Agreement. The 200 units will be a trial for mass production in the coming weeks and provide training for production line staff. All of PowerEagles current electric vehicle models will be produced by Vmoto on an Original Equipment Manufacturer basis. PowerEagle has forecasted around 270,000 units will be required to the end of 2015. If PowerEagles sales reach this forecast, Vmoto will generate revenue of $86 million to the end of 2015. Vmoto will commence production for PowerEagle in October and progressively increase the monthly production units. Lynas Corporation has completed Phase One construction of its Advanced Materials Plant in Malaysia. Like everyone at Lynas, I am eagerly anticipating the commencement of operations at the LAMP and being able to supply our customers with product later this year, said executive chairman, Nicholas Curtis. Lynas recognizes that there has been a very open and vigorous debate within parts of the Malaysian community about the Lynas Project, he said. Despite the scientific data and intensive scrutiny from international experts demonstrating that the project is safe, certain sections of the community remain anxious about the project. Dart Energy has executed a US$100 million lending facility to provide funding for Dart International projects, initially PEDL 133 in the UK, Liulin in China and Sangatta West in Indonesia. The senior secured reserves based lending facility is with Hong Kong and Shanghai Banking Corporations Singapore Branch. Galaxy Resources has outlined its plans to develop the Sal de Vida lithium project in Argentina, which is expected to become its next flagship development. Potential production will be 25,000 tonnes per annum (tpa) of battery grade lithium carbonate, which would take Galaxys output to 42,000 tpa. There is also potential production of 107,000 tpa of potash by product. The project could generate pre tax cash of US$139 million per annum. Waste to energy developer AnaeCo said its key goals in 2012-13 are to complete the commissioning of its first WMRC DiCOM facility in Perth, secure and commence new revenue generating projects, and standardize the detailed design and intellectual property package of the DiCOM System. Its strategy is to commercialize this through technology transfer and licensing arrangements in Australia and overseas. BluGlass made a 2011-12 loss of $3.2 million. The company said that during the year it continued to make hardware and process improvements towards further reducing impurities in its high quality crystalline GaN. Carnegie Wave Energy issued 141,127,642 shares during 2011-12. 120 million were issued under the January share purchase plan and a further 21.13 million were issued to the Lind Partners in May and June 2012 under their equity facility. It also issued 29.5 million share options to employees and consultants, resulting in a non cash expense of about $1 million. Cell Aquaculture recorded a loss of $2.6 million in 2011-12 and at balance date had a net current asset deficiency of $787,146. This is based on fact that since balance date 90 per cent owned Cell Aquaculture Malaysia Sdn Bhd has commenced a construction contract with The Fisheries Development Authority of Malaysia (LKIM) to supply and construct a CAQ designed facility. This is expected to deliver positive cash flows over the six month contract period. The company said it has significantly reduced its overheads and is confident capital could be raised at short notice if needed. Dyesol made an operating loss after tax for 2011-12 of $8.9 million, down from $17.3 million in 2010-11. Cash at 30 June was $2.5 million. The directors said they have initiated strategies to secure the company as a going concern. They are currently negotiating a bridging finance facility for up to $1 million and expect to receive the funds in early September subject to successful contract agreements with the lender. They said the establishment of the facility is precautionary given the uncertainty of precise timing around the expected receipt of a $2.95 million government Research and Development Tax Credit in October. Shares in Earth Heat Resources fell to a one year low of 0.8 cents on 30 August. On the same day it said it had fielded a number of questions from shareholders based on previous nights 'ABC PM' segment on geothermal energy in Australia. Ultimately the company agrees with the comments of Mr Grant King, Managing Director of Origin Energy "that geothermal was not a short term option in Australia" and In other jurisdictions, the underlying cost of energy support the development of renewable energy, like geothermal and hydro, on merit, no subsidies required, no support from government." Earth Heat said It is precisely because of this sentiment that Earth Heat has pursued a strategy of using proven existing technologies in favourable, proven geothermal settings, outside of Australia. Unlike those based in unproven Australian geological settings our strategies provide potential for low risk development opportunities and shorter term revenue streams compared with estimates of up to 8 years (at best?) in Australia as referenced in the PM segment, said managing director of Earth Heat, Torey Marshall. KUTh Energy has hit an obstacle to closing the contract for its geothermal energy project on the island of Saipan in the form of political risk. We advise that despite ongoing efforts to close this contract, including drafting and negotiating documentation, we have encountered considerable difficulties with local issues leaving us uncertain how this project will progress, it said in an update. Since KUTh won the tender from the Commonwealth Utilities Corporation (CUC) in Saipan, the Governor of Saipan has declared a state of emergency over the CUC, effectively placing it under his control. The Governor and the then Attorney General have apparently subsequently signed off on a 25 year sole source power purchase agreement with a private company to construct additional diesel generation in Saipan. The effect of the diesel agreement will likely be to limit the governments ability to contract with renewable energy producers as promised, said KUTh. * A local resident filed litigation seeking to cancel the diesel power purchase transaction and the Court has issued an injunction temporarily staying the diesel agreement. MediVac has decided to sell the intellectual property for its SunnyWipes brand, and will seek to raise up to $5 million if the merger with Republica Capital Ltd (RCL) proceeds. Shareholders will vote on the merger in October. Prior to 30 June 3RCL injected $154,572 into MediVac at 0.6 cents per share and since year end it has provided another $250,000 via a loan facility with a commitment to provide a further $500,000. MediVac said it will focus on its core MetaMizer business and the investments to be acquired from Republica Capital. It expects key regulatory approvals for the MetaMizer in the coming months. To succeed, the SunnyWipes technology and intellectual property (IP) need distribution muscle and a manufacturers margin. SunnyWipes has large international competitors with strong distribution and manufacturing resources, while it relies on third parties for manufacturing and selling/ distribution. Independent advice has suggested the IP would potentially have higher value in the hands of an international manufacturer.